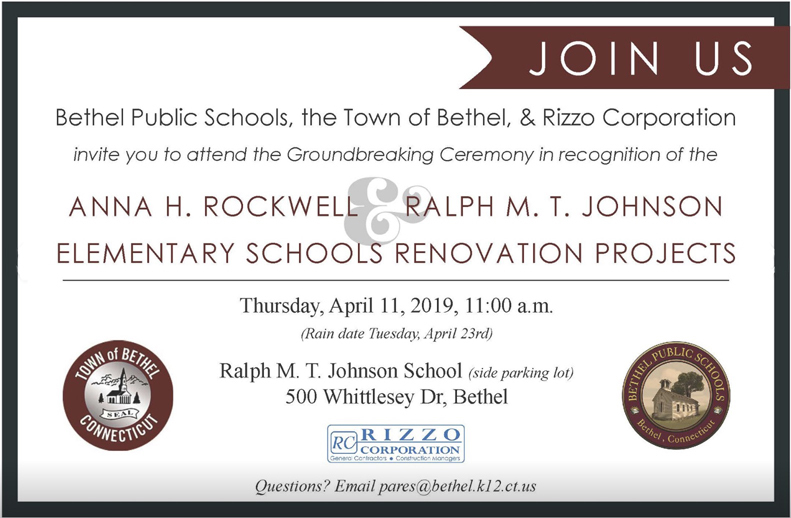 The Bethel Public Schools, Town of Bethel, and Rizzo Corporation invite you to attend the Groundbreaking Ceremony in recognition of the Anna H. Rockwell & Ralph M. T. Johnson School Renovation Projects on Thursday, April 11, 2019 at 11:00 AM at Ralph M. T. Johnson School (side parking lot). 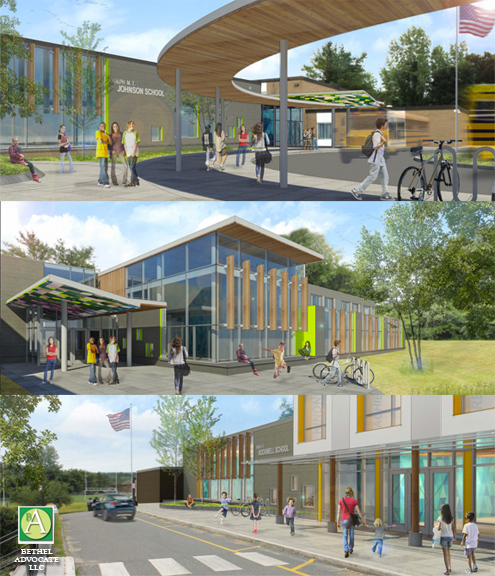 All community members are invited to attend. We are holding it during the day to include our staff and students in the ceremony! We want to thank the Rockwell and Johnson PTO’s for sponsoring refreshments.